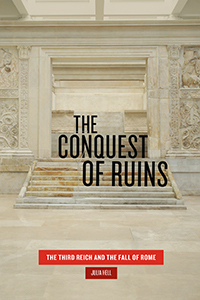 Julia Hell (Visitor 2017-18), The Conquest of Ruins: The Third Reich and the Fall of Rome, The University of Chicago Press, 2019. Maurizio Meloni (Member 2014-15; Visitor 2015-16), Impressionable Biologies: From the Archaeology of Plasticity to the Sociology of Epigenetics, Routledge, 2019. Joan W. Scott (Emerita), Knowledge, Power, and Academic Freedom, Columbia University Press, 2019. Francesca Merlan (Member 2015-16), Dynamics of Difference in Australia: Indigenous Past and Present in a Settler Country, University of Pennsylvania Press, 2018.